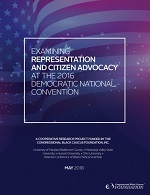 The Congressional Black Caucus Foundation regularly publishes special reports addressing key public policy issues affecting the global black community including economic independence, public health, education and leadership. Signature publications include “Breaking Barriers 2”, an in-depth look at African-American students and the public education system, and “Understanding Health Reform: A Community Guide for African Americans”. In addition to CBCF’s signature in-depth reports, CBCF Research and Policy publications include analysis briefings, articles, backgrounders, published opinions and arguments by CBCF fellows and experts. 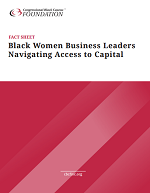 This policy brief examines the traditional barriers that African American businesses encounter when seeking access to business capital, and how black entrepreneurs can use innovations in technology to overcome these barriers, and start and grow their businesses. The Congressional Black Caucus Foundation, Inc.’s (CBCF) Executive Economic Summit in Detroit, Michigan took place on May 7, 2018. The year 2016 marked organizational growth for the Congressional Black Caucus Foundation, Incorporated (CBCF), as the CBCF continued its efforts to advance the global black community Read the 2016 Annual Report. The CBCF is excited to release the inaugural issue of the Journal of the Center for Policy Analysis and Research (JCPAR), Defining the Black Agenda in a Post-Obama Era! The biennial publication focuses exclusively on public policy issues related to black politics in the United States and abroad. The inaugural issue has a special focus on the significance of the Congressional Black Caucus (CBC) and advancing the collective black agenda. In many ways, the 2016 U.S. presidential nomination cycle – the period beginning with the primary and caucus contests and ending once the nominating conventions conclude – challenged conventional thinking about contemporary racial, gender, and class politics in America. The Congressional Black Caucus Foundation’s fifth Executive Economic Summit (EES V) promoting minority access to capital takes place in Houston, Texas, on December 11, 2017. 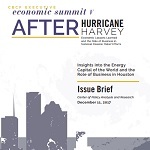 Entitled, “After Hurricane Harvey: Economic Lessons Learned and the Role of Business in National Disaster Relief Efforts,” the series of discussions aim to raise awareness, inform policy, and provide examples of economic recovery and business solutions in the aftermath of Hurricane Harvey. The Fixing America’s Surface Transportation Act (FAST Act) was signed into law in December 2015 by President Barack Obama. The bill provides $305 billion over five years (2016 – 2020) for transportation and infrastructure projects in the United States. The time may be ripe for the new EPA leadership to reduce government waste, substantially increase administrative efficiency correct the EPA’s repeated missteps in enforcing Title VI, and even eliminate its decades-old backlog of unresolved Title VI cases. The result could not only save money, time, and resources, but lives. African American women business leaders are changing the face of the global economy, helping to sustain job creation and economic growth. However, despite being a driving force in boosting the nation’s economy, black women entrepreneurs with highly competitive, sustainable and profitable businesses continue to face significant barriers in funding and leveraging resources to climb to up the ladder of capital access. 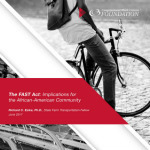 This report examines African-Americans and the Consequences of Underfunded Pension Plans. Transportation in the United States has historically favored middle-class and affluent neighborhoods at the expense of disadvantaged communities, resulting in skewed patterns of infrastructure development in metropolitan areas across the country. On November 8, 2016, the United States will host the first presidential election in 51 years not covered by the full protections of the Voting Rights Act, namely without Section IV of the Voting Rights Act of 1965 (VRA). Click here to read the 2015 Annual Report. The CBCF Leadership Institute for Public Service prepares the next generation to take its place in the fields of community service and policy development. Data, analysis, and recommendations for improving Minority access to capital and gainful employment, prepared by the CBCF Center for Policy and Research. Read the fact sheet. In this analysis, we outline and analyze key factors preventing minority access to capital with the goal of promoting comprehensive policy and community-based solutions to help black businesses achieve economic parity. Read the fact sheet. We have made great strides in eliminating disparities, educating the public and training the next generation of leaders. Click here to read the 2014 Annual Report. In March 2010, the Patient Protection and Affordable Care Act of 2010 (H.R. 3590) and the Health Care and Education Reconciliation Act of 2010 (H.R.4872) became law. In response, the CBCF produced this health reform guide to help everyday people better understand the new law. We also hope this guide will arm readers with knowledge that can help them become more engaged in advocating for health care resources in their communities. For additional copies or to comment, please call (202) 263-2800 or email CPAR@cbcfinc.org. Read the report. I am happy to support the CBCF. Here is my minimum donation of $30 for the Legacy of Leadership. Your gift over $20 is deductible pursuant to IRC 501(c)(3). Learn how the Affordable Care Act will affect you and your family. Read the update. The Congressional Black Caucus Foundation is proud to present our 2012 Annual Report highlighting the continued progress the Congressional Black Caucus Foundation has made in support of the organization’s mission to advance the global black community by developing leaders, informing policy and educating the public. Read the Annual Report. I am happy to support the CBCF. Here is my minimum donation of: $30 for the Conscience of the Congress.